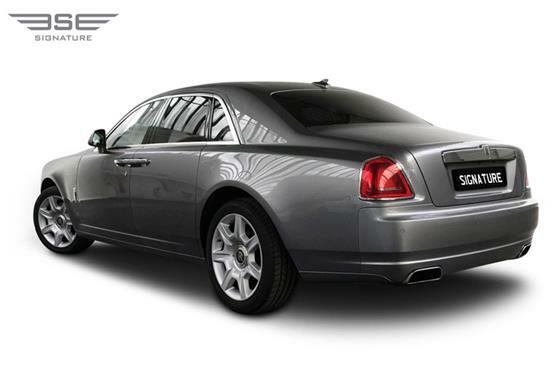 For the ultimate car hire experience we suggest you select our sumptuous and luxurious Rolls Royce Ghost. 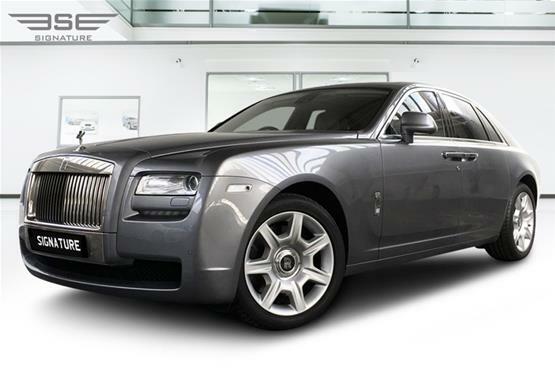 The Rolls Royce Ghost is the pinnacle of opulence and makes an ideal hire car for a wedding day or a special occasion. 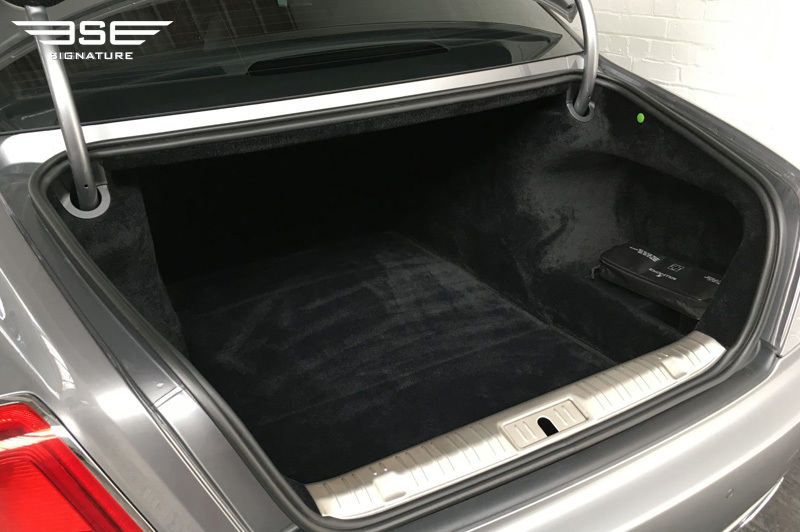 This is the automobile most associated with power and luxury, and over 100 years of British engineering and design genius have resulted in a luxurious saloon that is as pleasing to drive, or be driven in, as it is to look at. The Ghost was designed to be a faster, sportier alternative to the Rolls-Royce Phantom and with an acceleration of zero to 62 miles per hour in less than 5 seconds, this has certainly been achieved. 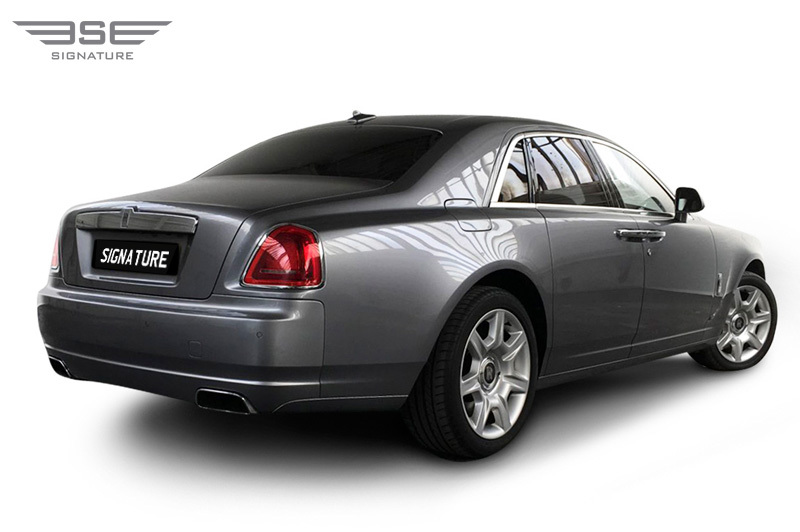 The Rolls-Royce Ghost is the ultimate expression of modern luxury and can be hired in the UK with our executive chauffeur service if required. The Rolls-Royce Ghost was designed to accommodate your every desire and fulfil dreams you never knew you had. 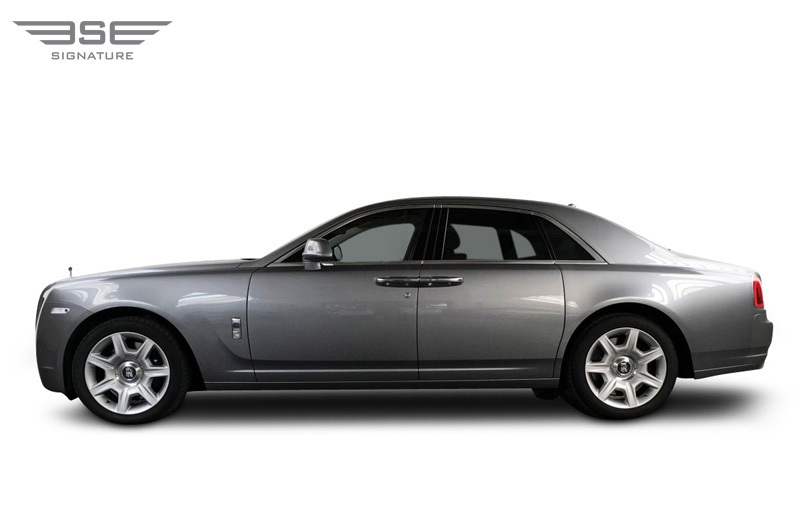 Our rental Rolls-Royce Ghost offers a driving experience in the UK like no other along with a completely exhilarating journey even when driven by the most experienced drivers. Rolls-Royce uses years of experience and talented craftspeople to create an interior that is the ultimate combination of classic style and epic power. 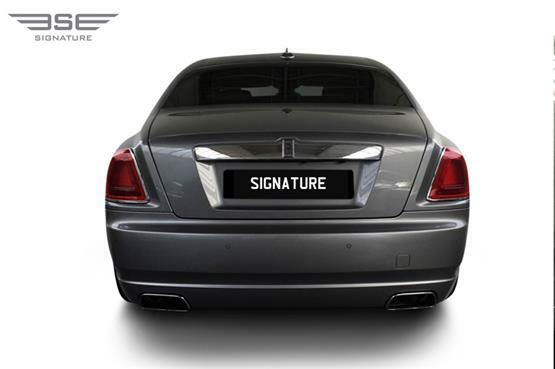 The Rolls-Royce has many features, and they have been meticulously designed to be hidden so that the driver can focus on what is important: driving the ultimate luxury vehicle! Sit back and relax into the carefully sculpted seats which features exquisite hand stitched leatherwork and listen to the sounds of the bespoke Audio System. You can also enjoy the Spirit of Ecstasy Rotary Controller and Satellite Aided GPS data alongside the Heads Up Display. 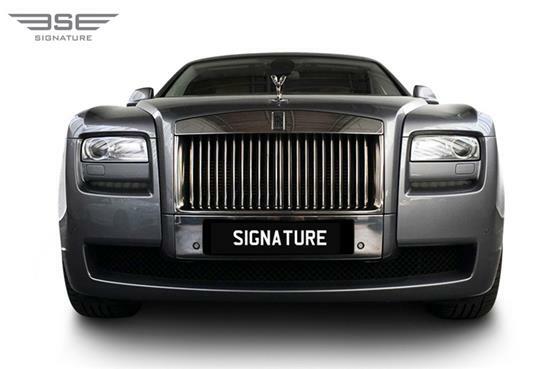 Every Rolls-Royce is hand built in Goodwood, England and this model is powered by a 6.6 litre V12 engine. Rolls-Royce ensures that every car is as unique as the driver and that every car is built as though it were about to carry the most important person in the world. We have added our Rolls-Royce Ghost rental car to our fleet to appeal to people who want to have fun, relish luxury finishes and look refined on the road. 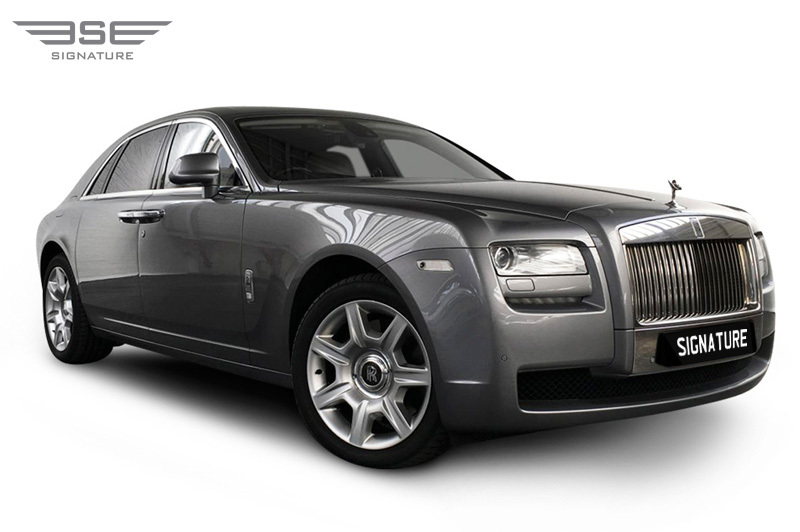 The Rolls-Royce Ghost is slightly smaller than its larger precursor, the Phantom, and this allows it to reach its top speed at 154 miles per hour. The Heads Up Display is perfect for serious drivers because it displays the action from your dashboard onto your windscreen, and it allows you to fully appreciate the carefully engineered power that lies beneath the hood of your vehicle. The attention to detail and bespoke nature of a Rolls-Royce is what makes it the pinnacle of all luxury vehicles. The leatherwork in the interior takes two weeks to hand stitch, and it is carefully cut using computer guided knives from the hides of around 15 Bavarian bulls. 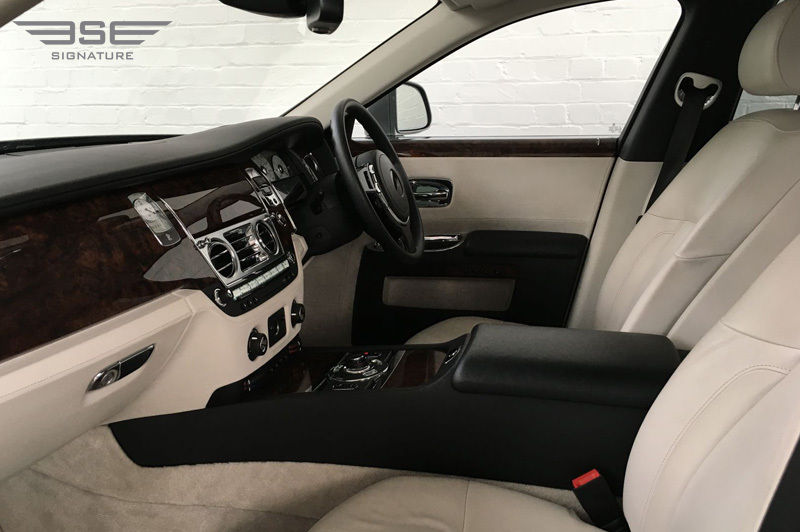 All woodwork features come from only one tree to keep the uniformity within the car and at the same time make it unique. The Rolls-Royce Ghost was designed to anticipate the driver's every whim, and even the gearbox is designed to predict your next moves and shifts gears accordingly. 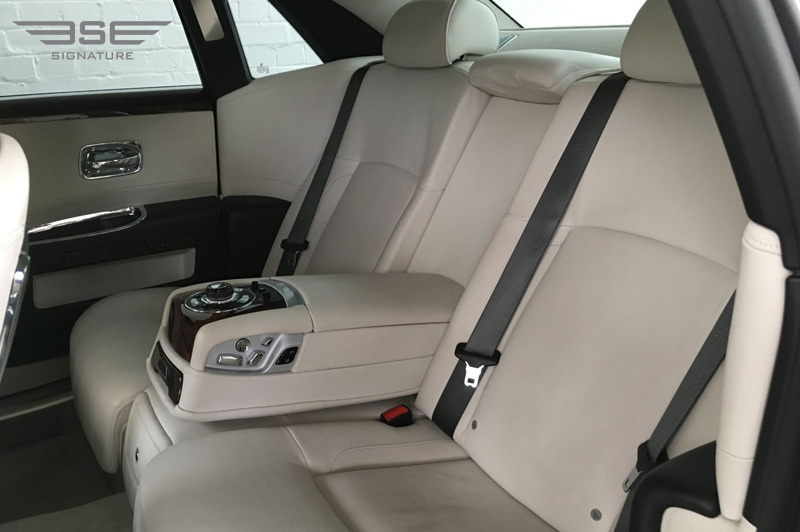 The Rolls-Royce is the optimum choice in luxury sedan rental cars, and you can experience the world as you've never seen it before as you glide through the streets of London.